After decades of coddling military dictators in Pakistan, Washington wants a different relationship with its key partner in the war against al-Qaeda. The Kerry-Lugar Act currently making its way through the Senate after a similar bill passed in the House last month would provide $7.5 billion in nonmilitary aid over the next five years, in an ambitious plan to counter widespread anti-American sentiment there by helping Pakistan's civilian government deliver essential services to its population. Unlike previous no-strings aid packages, Kerry-Lugar makes support conditional on Pakistan's military being subordinated to its elected government, and taking action against militants sheltering on its soil. But by dangling the prospect of a desperately needed aid package on terms deemed intrusive by the military and opposition parties, the legislation may be weakening the very civilian government it hoped to bolster. The furor over the aid package has left President Asif Ali Zardari increasingly isolated as normally fractious opposition parties unite against its "humiliating" conditions, with even the junior partners in Zardari's ruling coalition expressing misgivings. Public opinion ranges from suspicion to hostility, and the army high command broke with its recent habit of remaining quiet on political matters to issue an ominous statement. Following a meeting of its corps commanders, the army — the country's most powerful institution, long accustomed to keeping the political class in line — expressed "serious concern" over what it said were the "national security" implications of the aid package. The statement said that army chief General Ashfaq Kayani had also "reiterated that Pakistan is a sovereign state and has all the rights to analyze and respond to [national-security threats] in accordance with her own national interests." 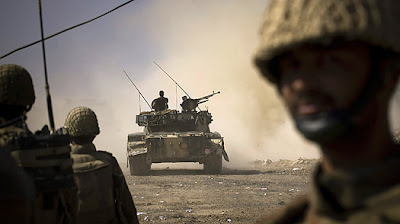 "The army's response builds pressure on the government and encourages tougher opposition to the bill in Parliament," says military and political analyst Hasan-Askari Rizvi. "It's a kind of political move on the part of the military." The generals' ire is focused on the bill's requirements that the U.S. Secretary of State certify, at six-month intervals, that the military remains under civilian oversight, even specifying such details as the need for the government to control senior command promotions. Kerry-Lugar also requires that the Pakistani military act against militant networks on its soil, specifying those based in Quetta and Muridke. U.S. officials believe that the leadership of the Afghan Taliban, including Mullah Omar, operates unmolested from the southwestern city of Quetta — a charge denied by Pakistan. Murdike, just outside Lahore, is the headquarters of Lashkar-e-Toiba (LeT), the militant group most recently responsible for last November's Mumbai massacre. One of the Kerry-Lugar conditions most likely to trigger nationalist resistance is the requirement that Pakistan grant U.S. investigators "direct access to Pakistani nationals" associated with nuclear-proliferation networks. That's a reference to Dr. A.Q. Khan, the Pakistani nuclear scientist who confessed to sharing nuclear-weapons secrets with Iran, North Korea and Libya. Although he was placed under house arrest in Pakistan, authorities there have consistently refused to allow him to be questioned by foreign investigators. "For all his sins, he's still considered a hero in Pakistan," says Tariq Azeem, an opposition senator who served in the government of former President Pervez Musharraf. The backlash to Kerry-Lugar is fueled by a widely held perception that President Zardari has bowed too easily to foreign demands. According to a recent poll published by the International Republican Institute, 80% of Pakistanis opposed their government's cooperation with the U.S. war on terror. That figure represents a 19-point rise since March, despite the fact that opposition to Pakistan's domestic Taliban militants has risen to an all-time high. But Zardari sees the clamor as politically motivated: "Pakistan received American aid twice before, in 2001 and 2007, and there was no such controversy," says presidential spokesman Farhatullah Babar. "At that time Pakistan was being run by a military general who was also the President. The difference now is that the President and the Prime Minister are democratically elected. There is a deliberate attempt now to undermine President Asif Ali Zardari by elements who do not like that fact." Still, the mounting furor over the Kerry-Lugar Act may produce an outcome quite different from what the legislation intends. In March, after bitterly resisting calls to reinstate the Chief Justice sacked by Musharraf, Zardari was forced into a humiliating climbdown in the face of an array of opponents as formidable as those challenging him over the U.S. aid package. Pakistan is in no position to reject the vast sums of money on offer. But while the combination of opposition from the military, political opponents and the broader public may not topple him, it could further hobble a President that Senators Kerry and Lugar had hoped to help.